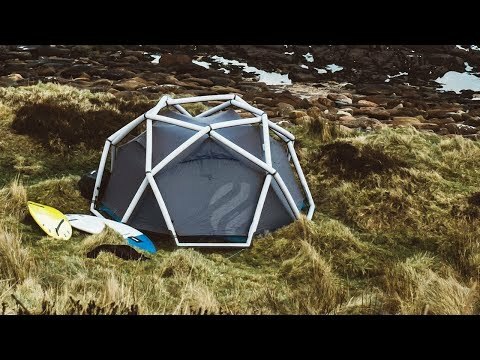 Pitch a tent in less than two minutes. 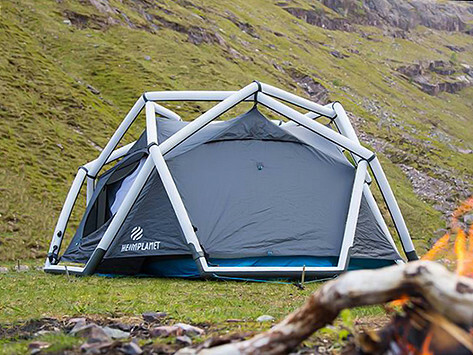 This beautifully-engineered inflatable tent has a geodesic dome shape that takes its cues from structurally strong buildings. It’ll stay standing in the face of strong winds and it’s dual-layer beams will keep air inside for days. The inside is decked with pockets, windows that open wide, and ventilation points for fresh air. And when you’re done, you can take it down just as quickly with the big valves. Dimensions: Packed: 16" x 13" x 9"; Ground area: 54 sq. ft.; Pitched Height: 50"; Inner Height: 40"